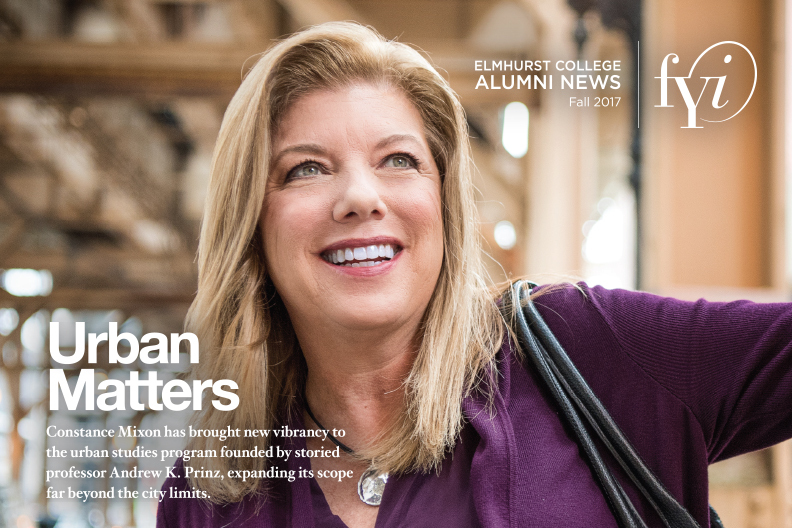 Prospect is the flagship publication of Elmhurst College. Newly redesigned and expanded, the magazine captures the College’s dynamic spirit, highlighting how our students, faculty and alumni engage with the world. Prospect is published twice a year. If you’d like to receive a printed copy in your mailbox, update your alumni profile. In this inaugural issue of the reimagined Prospect, we tag along with students and faculty who’ve trekked Spain’s historic Camino de Santiago; look back on 50 years of theatre at the Mill; explore our arboretum campus, one lovely tree at a time; and much more. Prior to launching Prospect, FYI served as the College’s alumni magazine and was published twice a year. 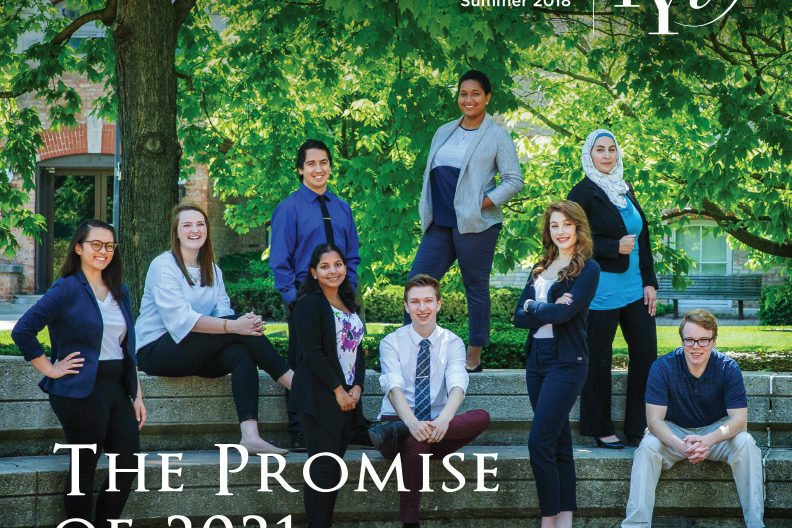 Our cover story brings the Elmhurst College 2021 Strategic Plan to life through compelling stories about our students. We’ll also tell you about the College’s remarkable new jazz collection, take you to Commencement, and catch up with one of Chicago’s most popular radio hosts, Justin Roman ’00. Read about Elmhurst College’s historic enrollments, Homecoming highlights like the bonfire on the Mall, and much more campus news. Also in this issue, we profile Constance Mixon, who has brought new vibrancy to the urban studies program founded by beloved professor Andrew K. Prinz. 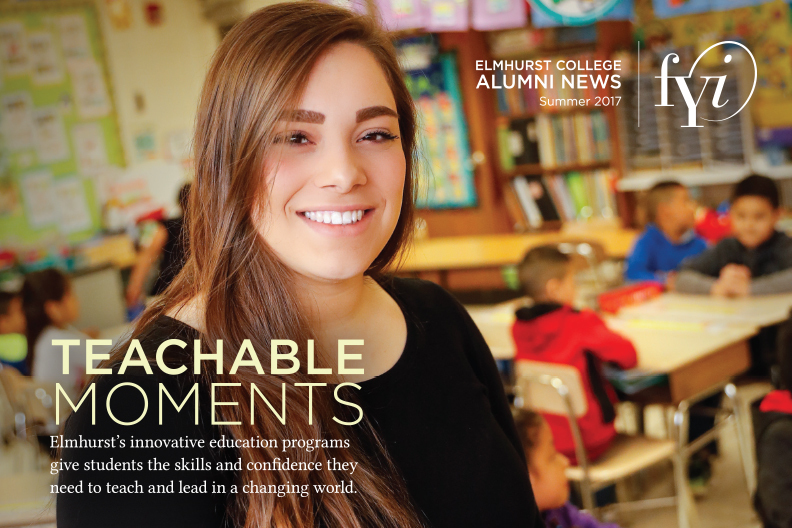 Our cover story celebrates Elmhurst’s innovative education department, which gives students the skills they need to teach and lead in a changing world. We’ll also catch up with the Elmhurst Learning and Success Academy and the College’s first Special Olympics basketball team. 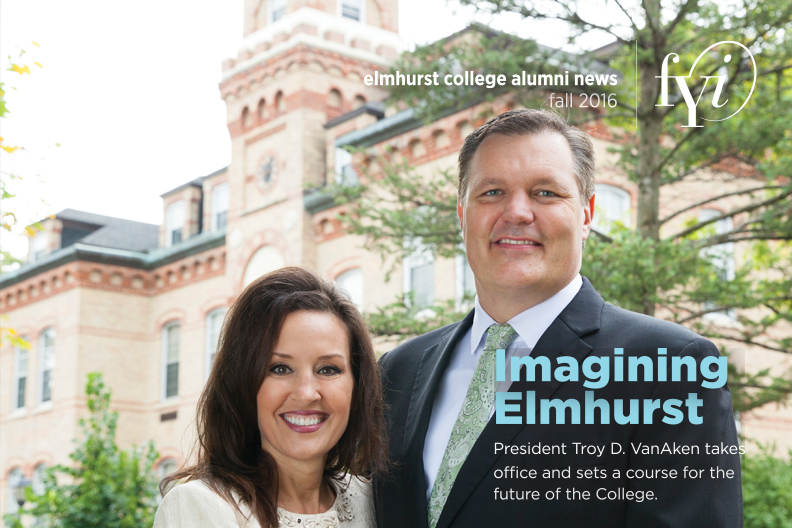 In this issue, we’ll take you to the inauguration of President Troy D. VanAken and join him as he launches Imagining Elmhurst and engages the College community in envisioning the future. We’ll also learn about The Power to Change Lives, the unprecedented campaign to raise $1 million for scholarships. 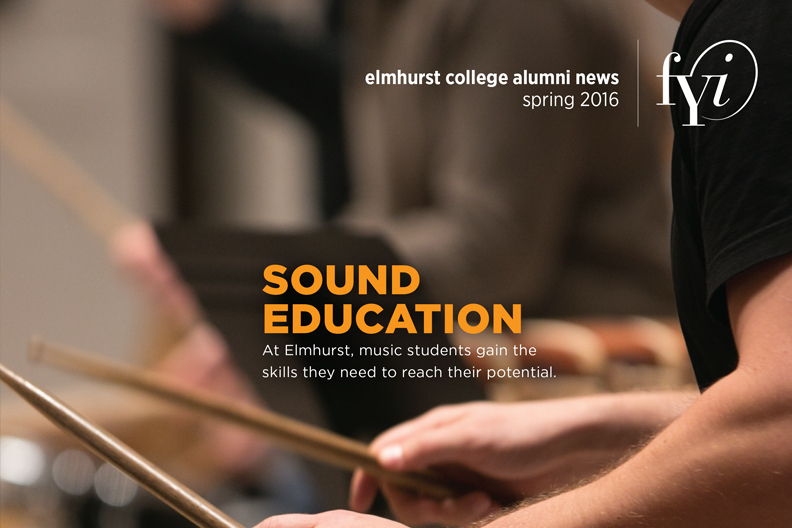 This issue highlights Elmhurst College’s world-renowned Department of Music and the people who make it great. You’ll also meet Troy D. VanAken, the 14th president of Elmhurst College, and celebrate the accomplishments of the outgoing interim president, Larry Braskamp.